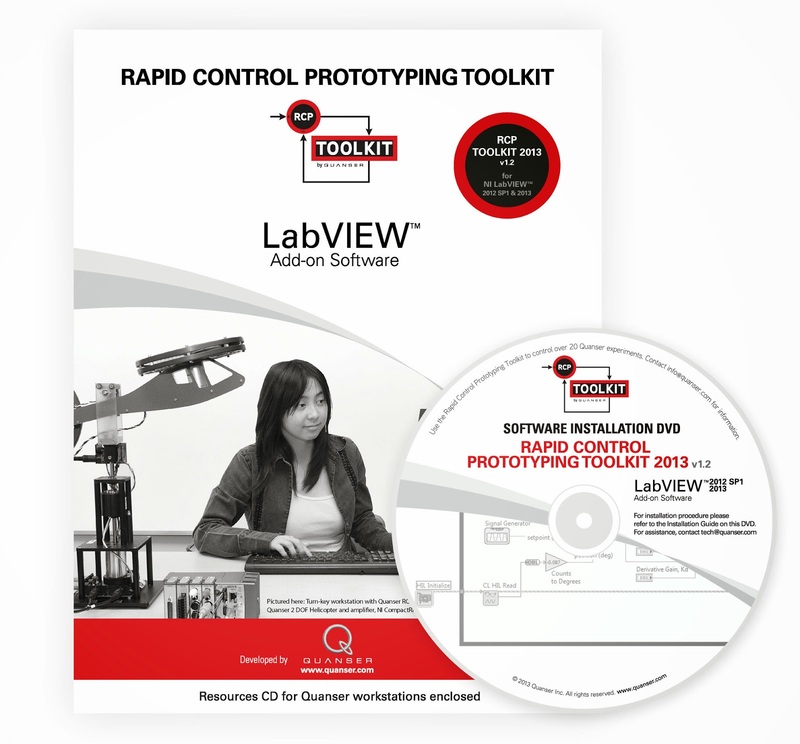 A new version of Quanser rapid control prototyping software add-on for LabVIEW™, RCP Toolkit 2013, is now available for users interested in controls. RCP Toolkit 2013 builds on its previous version by helping users take full advantage of the latest iteration of NI graphical development software, LabVIEW 2013. Working in conjunction with the Quanser Q1-cRIO module for NI CompactRIO controller, RCP Toolkit 2013 continues to simplify the hardware access, configuration and algorithm deployment onto the NI CompactRIO, thanks to new features that offer real-time performance, along with expanded compatibility, usability, safety and support. As a result, LabVIEW users can extend the range of their activities from control teaching to open-ended research. Visit our website to learn more about RCP Toolkit.